Paul Alexander Wijnberg was born in Natal on 19 December 1934 and attended Maritzburg College, where his name has been, for many years, on the College Roll of Honour, together with those of many notable high achievers including Alan Paton and General Bob Rogers. Having been a Sea Cadet in Pietermaritzburg he decided to enrol at the “T S General Botha” at Gordon’s Bay for studies leading to Matriculation. The other Cadets in his year group left prematurely and he was attached to the class of the following year which comprised Norman Wise, Peter Bitzker and Koos de Beer, all of whom had distinguished careers in the South African Navy and retired with the rank of Rear Admiral, Junior Grade. On 25 January 1958 Paul married Mary Bredin in her hometown of Ixopo in Natal, showing the locals just how a naval wedding should be conducted and a few months later he was off to HMS EXCELLENT to join the 1958/9 Royal Naval Long Gunnery Officers’ Course at Whale Island in Portsmouth, United Kingdom. There he excelled and absorbed the culture of the Naval Gunnery Officer to such an extent that it was often remarked of Paul Wijnberg that he never walked, he always marched. During his absence from South Africa the SAN moved from Salisbury Island to Simon’s Town and on his return he was appointed Officer Commanding SAN Gunnery School. One of the many highlights of Admiral Wijnberg’s career was his appointment as Naval Attaché to Paris from1973 to 1975, placing him in a situation which required extreme tact and diplomacy due to the prevailing political situation in the Country. Admiral Wijnberg and his wife Mary impressed the French Government to the extent that he was awarded the Ordre Nationale de Mérite. Another, equally challenging appointment was his command of the frigate SAS PRESIDENT KRUGER, including the ship’s participation in the U S Bicentennial Celebrations in1976. The voyage itself from South Africa to New York was a challenge as the ship carried just enough bunker fuel for the Trans-Atlantic Passage, which had to be carried out at economical speed. Added to this the Soweto Riots occurred simultaneously while the ship was enroute and South Africans became somewhat less popular in the USA than they had been before. 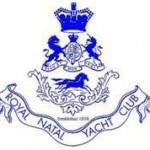 Promotion to Rear Admiral came with Paul’s appointment as Flag Officer Naval Command East, involving responsibility for all things naval in East London, Richard’s Bay and the vital harbour of Durban. Rear Admiral Wijnberg worked closely with other branches of the SANDF, the SAP and SAR&H and the Civic Authorities to ensure that the physical defences of vital Port and Harbour Installations were adequate and that any would be assault on key Installations could be effectively countered and contained. With the closure of the Naval Commands, Rear Admiral Paul Wijnberg retired in 1998. Still a young and fit fifty five year old, Admiral Wijnberg purchased an apple farm named “Chosen Farm,” at Grabouw, a quiet village in the Western Cape which was destined to be transformed, within a few years, into a hotbed of political activity. During the past year or so Admiral Wijnberg’s health deteriorated and he passed away on 2 July 2013 at the family’s new home in Helderberg Village in Somerset West to which he and Mary had fairly recently moved. Friends and family, including former SATS General Botha Cadets, joined Mary Wijnberg, her sons Michael, John, Simon and Alan and their families in the chapel at the S A Naval College in Gordon’s Bay on Monday 5 July 2013 for Paul’s memorial service. Vice Admiral Robert Simpson-Anderson spoke volumes of Admiral Paul Wijnberg, the man and the archetypal Gunnery Officer, paying tribute to his outstanding service to the SA Navy and the Republic of South Africa. Michael Wijnberg, Paul’s eldest son, spoke about his father as a dedicated and enthusiastic family man. Following the Service the family proceeded to the quayside where Rear Admiral Paul Wijnberg’s ashes were scattered in False Bay and then they enjoined friends and relatives at a gathering at which many distinct navy blue and green striped General Botha Old Boys ties were in evidence. Our thoughts are with Mary, Michael, John, Simon and Alan and their families at this difficult time.